I always enjoy trying new things in the kitchen! I rarely eat red meat, some of my family enjoys it occasionally so I am always up for trying different recipes! A friend had gotten boneless beef short ribs at the store and it made me think I should try to make some. I used to make ribs occasionally many moons ago but had not tried them lately. I searched for several recipes and came across one that seemed simple, which is what I wanted. I used a few recipes to make the sauce. I have to say, they were pretty delish! I only took a small bite but it was very good. Give these a try! 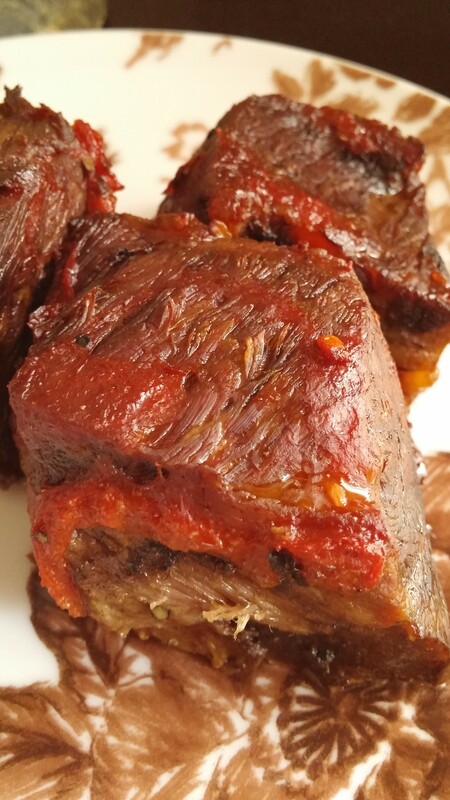 My next beef recipe to make is a bone in beef short ribs! ENJOY! 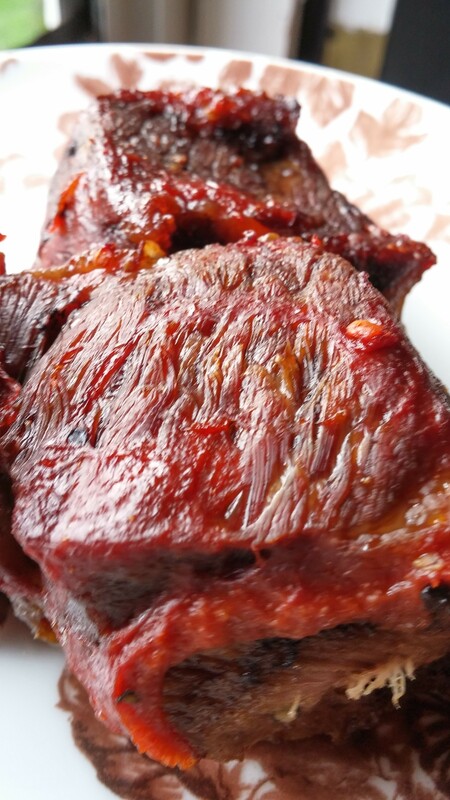 Place your ribs in a baking dish. Season with salt and pepper. Pour half the sauce over top. Save the other half for after the ribs are cooked. Cover the pan tightly with foil. Bake in a 300 degree oven for 2 1/2 hours. Uncover the pan and bake uncovered for 30 more minutes. Serve with sauce on the side. Mmm good!